More and more, building managers are working from both maintenance and safety budgets for their overall flooring needs. In addition to general flooring materials, wear-and-tear issues and routine maintenance on your floor systems, there's an increased emphasis on floor safety for employees, customers and equipment. Over the past ten years, there has been a greater awareness in the industry to create a safer flooring environment in the workplace. Many of the projects we work on are specifically for safety reasons including: non-slip surfaces, repairing trip hazards and installing safety stripes and markings. There are many industrial and warehouse safety programs that have budgets for improvements separate from their operations or maintenance budgets. QuestMark has dedicated safety managers and inspectors to provide solutions for your concerns about safety. We have had calls from managers of warehouses who want a solution for situations such as forklift drivers who keep hitting bumps in the floor and causing back injuries. Employee safety and a decrease in injuries, lost workdays and workman's comp claims are very important for managers. We provide solutions to smooth the bumps in the floors to minimize those types of problems. Note that in addition to injuries to employees, equipment such as forklifts and merchandise can also be damaged from irregular floors. 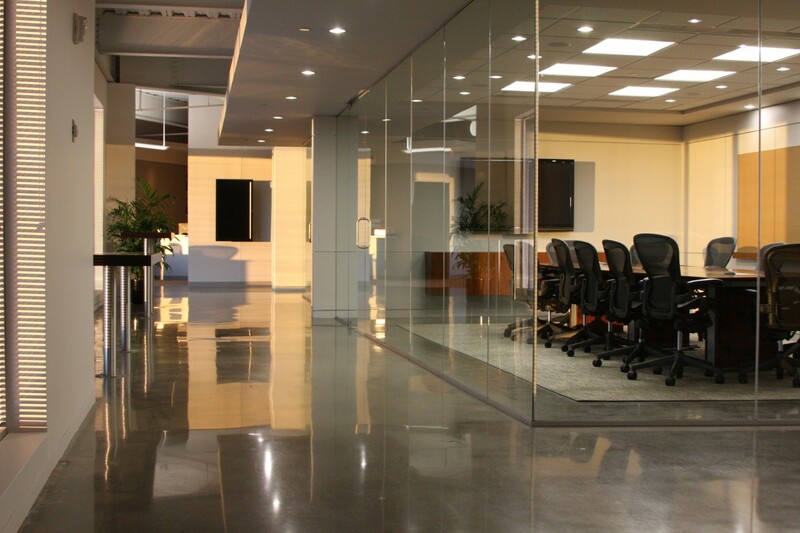 With our DiamondQuest products, many property managers are looking for the WOW factor - glossy, dustproof floors that improve the aesthetics and overall appearance and add to employee and customer morale. Maintenance costs are also lower on polished concrete floors. In addition, these high-traction floors also improve safety by lowering the risk of slip-and-fall accidents. DiamondQuest is a National Floor Safety Institute (NFSI) certified product. When choosing the right floor system for your facility, consider system type, safety, maintenance, repair costs, durability and long-term costs. QuestMark professionals can help you find the solution that will work best for your floor.